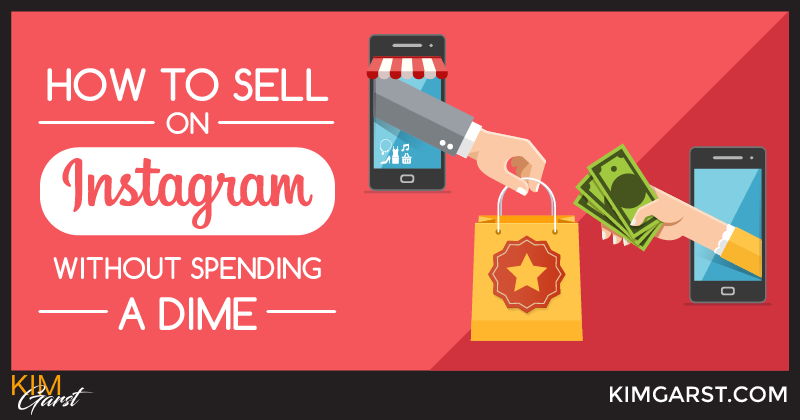 This isn’t just another post about how to sell on Instagram. Have you heard about Instagram’s Shoppable Posts yet? If not. there’s something SUPER EXCITING that’s fairly new to Instagram that I want to share with you to help you promote your business. 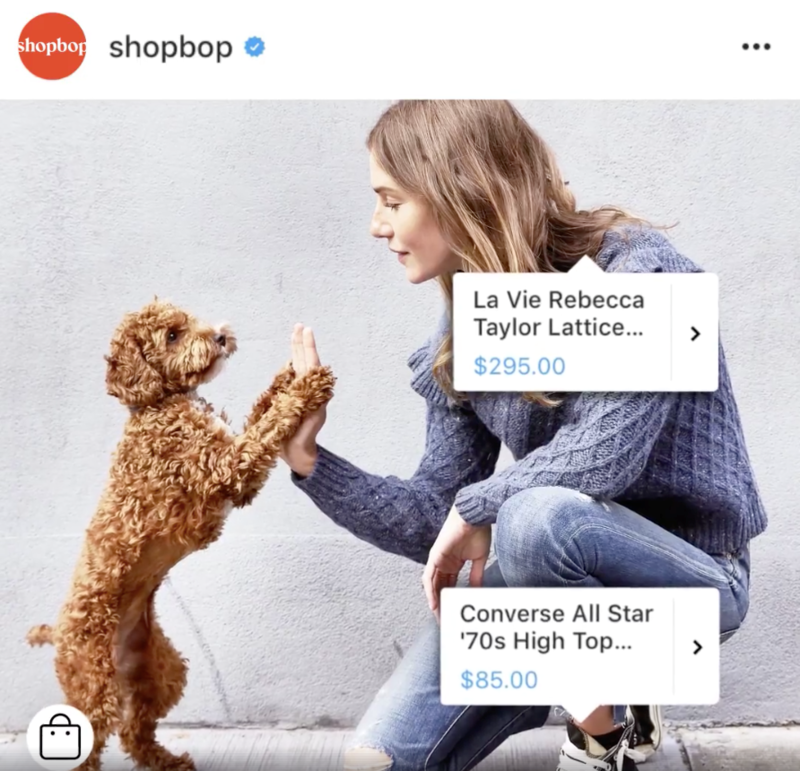 Instagram started rolling out shoppable posts to US users in late 2017 and as of today this feature is available to approved businesses in these countries…the United States, United Kingdom, Australia, Canada, France, Germany, Italy, Spain, Brazil, Sweden, Netherlands, Argentina, Mexico, New Zealand, Switzerland, Puerto Rico, Ireland, South Africa, Belgium, Austria, Peru, Uruguay, Paraguay, Malta, Ecuador, Panama, Portugal, Poland, Greece, Cyprus, Denmark, Czech Republic, Romania, Norway, Hungary, Bulgaria, Croatia, Finland, Latvia, Lithuania, Slovenia, Luxembourg, Dominican Republic, Belize, Korea and Japan. So if you’re in the one these countries and want to actually sell your products RIGHT on Instagram, you’re gonna want to read this post! 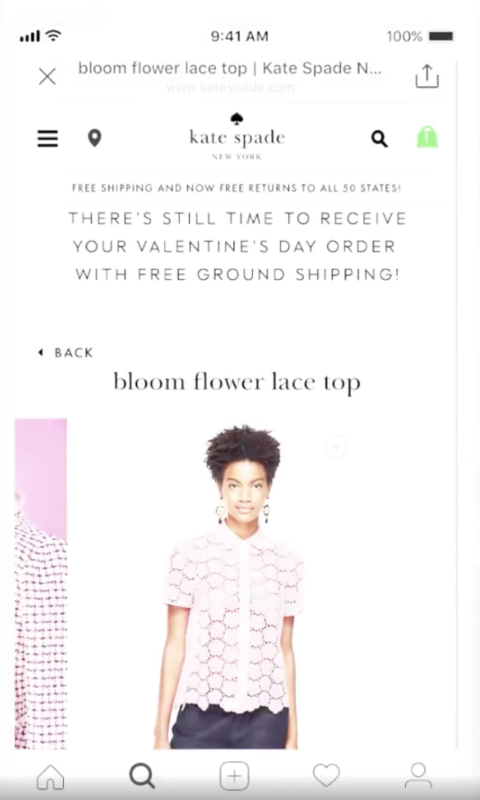 What are Instagram’s Shoppable Posts? 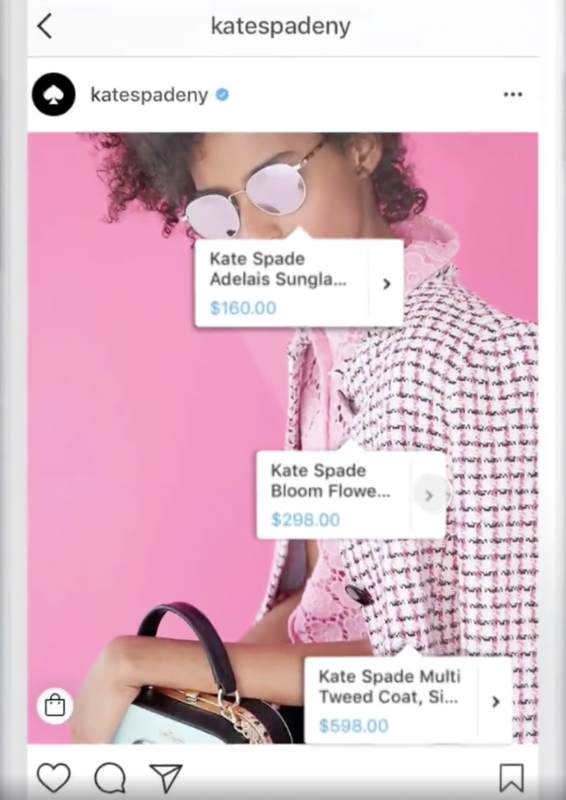 Shoppable posts allow business owners to tag products within their photos so users can see exactly how much the product is. By simply clicking on the tag, shoppers can go to your online store to BUY your product directly! How AH-MAY-ZING is that?! 3. Now, simply click the Shop Now button to go directly to the product to buy it from the mobile online store. As I’m sure you can imagine, this opens a whole new world of possibilities for online business owners to sell on Instagram!! Currently, this feature is ONLY available to businesses that sell a physical product. This means if you offer a service or digital products (like me!) 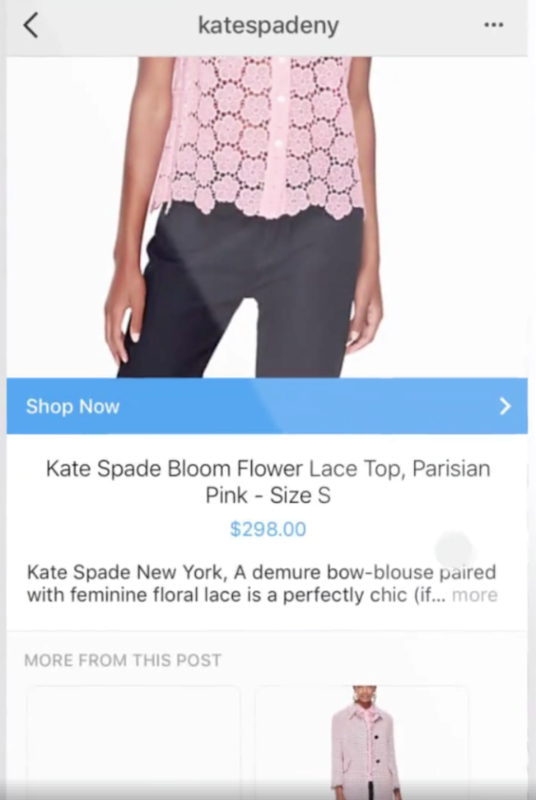 you won’t be able to use shoppable posts to sell on Instagram. You’ll need to reside in one of the countries listed above. You’ll need to convert your Instagram account to a business profile (if it hasn’t been already). You’ll need to set up a Facebook Shop in order to use this feature. I’ll include some info below on how to do this! You’ll need to get approved to create shoppable posts. I’ll walk you through this process below as well! So, if you’re still ready, able and excited to create your first shoppable post, let’s jump in! You’ll need to lay a bit of groundwork before you can actually create your first post. But just follow the steps below and you’ll be up and running in no time! If you currently use BigCommerce or Shopify, you can set up your Facebook shop directly through these platforms. If you don’t use one of these platforms, Facebook provides detailed instructions on setting up a Facebook shop here. Don’t worry – setting up a Facebook shop is a quick and painless process, and won’t cost you a dime! Alternatively, you can choose to set up a Business Manager catalogue on Facebook rather than a shop. Again, this is a pretty simple process: Go to your Business Manager Settings, and then simply create a product catalogue. Here’s a step-by-step guide to creating a new catalogue. This is another painless process, but it will probably take a few days. To have your account automatically reviewed, you must meet all the conditions above (residing in one of the approved countries, having an Instagram business account, etc.). Once you’re approved for shopping, you’ll receive a notification from Instagram and can start tagging your posts! Here’s some more info on getting your business approved for shopping. BOOM! You’re all set up and ready to sell! And that’s it! Your post is now ready and waiting to be shopped! Since shoppable posts are so new, we’ll likely see some changes in the coming months. But for now, here are a few things you should know BEFORE you start tagging your posts! You can tag products in both new and existing posts! Whatever currency and language you use for your catalogue is what will show up for Instagram users…so choose wisely! You can’t sell just anything using shoppable posts. Some things you CAN’T tag are weapons, alcohol, adult health products, “unsafe supplements”, etc. For a complete list of what you can (and can’t) tag, go here. You must be using the latest version of Instagram for any of this to work! So if you’re having any problems, make sure your app is up to date. So…who’s going to start selling on Instagram using shoppable posts? Let me know in the comments below! Excellent post with very good in-depth information about Instagram. I must admit that I didn’t knew much about Instagram and its advantages before I landed to your post. I have been using Facebook, Twitter, Google+ all this while. However after reading your post, I can see there are lot of scope for marketing and promotion through Instagram. You never disappoint me as always. Every time I visit your blog, there is always new learnings that motivate me and honestly, I applied it on my own. Wish others could find this article, especially start-up businesses and may put to good use. I sincerely appreciate your post and knowledge. Any idea why I wasn’t approved for shoppable Instagram posts but I was approved for Facebook? We sell both physical products and services but I don’t know why they wouldn’t allow me to add the physical products to shoppable posts on Instagram if it’s allowed on Facebook? Brianne, I would ask Instagram. I’m not privy to why they decline accounts. I would also suggest looking into their TOS to make sure your products aren’t prohibited. Can you sell products that aren’t your own by using affiliate links? wow…. your site fulfil my all requirements..thanks for this amazing information…. I must confess i was so excited reading this blog, Before now i had no knowledge on how instagram’s shopable post are created, Am glad i learnt it today all thanks to your blog. Hi, This is a useful article. It provides me with great information. Thanks!